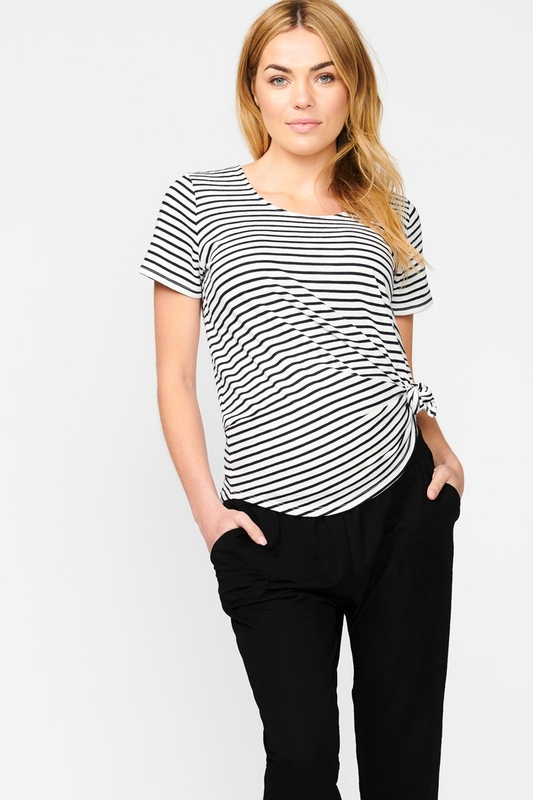 The Blake Tee is sure to be on high rotation in your wardrobe this summer. 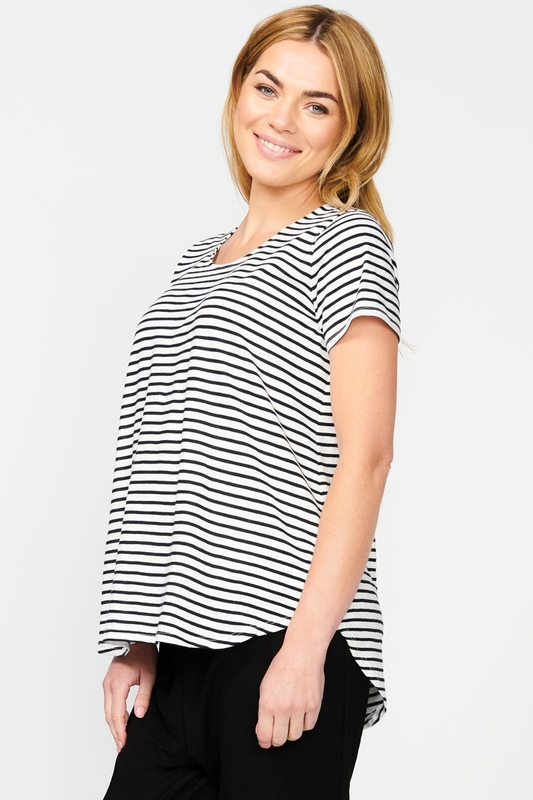 Crafted from a striped cotton knit, it’s easy-fit A-line shape will flatter all silhouettes throughout pregnancy, nursing and beyond making the Blake Tee our most versatile basic yet. We love the added details of a hi-lo hem and a scoop neckline for a funky update on a summer staple. 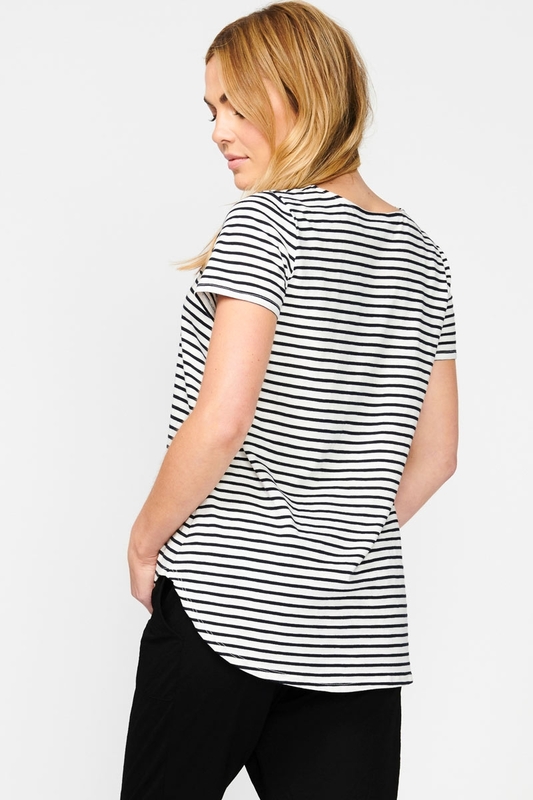 Styled with black trousers or a pair of our Nina Shorts and sneakers, a striped tee is called a classic for a reason!